Invested in bringing people together ONE RIVER TRIP AT A TIME. Our river adventures are well-suited for all ages. River trips from calm to rambunctious with hand-picked and personally trained river rafting guides because your safety and enjoyment is our primary concern. Additionally, we provide the best guide to guest ratio in Washington's river industry. Orion is a full service, professional river outfitter for families, youth, and adults of all ages. Offering both challenging to introductory white water and outfitting raft trips on rivers throughout the North Central Cascades, as well as north central Oregon. Offering a variety of specialty trips including our trips exclusively for women and teams. 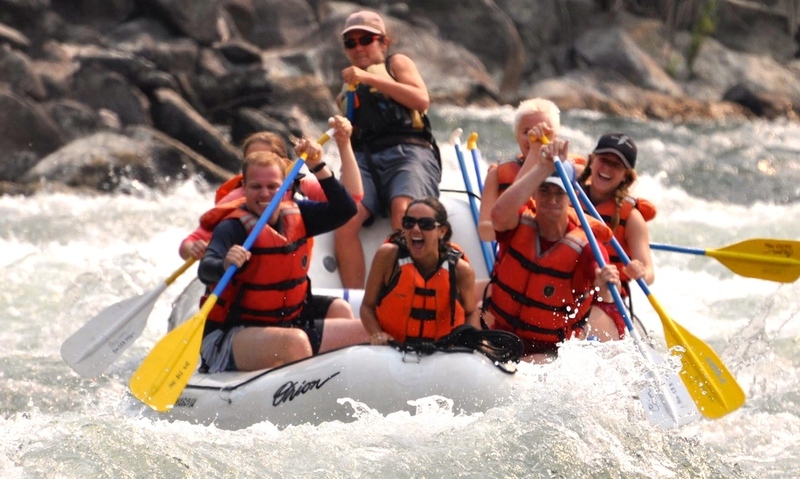 Our river rafting adventures are meant to stimulate, rejuvenate, and lead to a more peaceful frame of mind. We have trained guides for 40 years and every year we strive to improve our program and build upon our success. In other words, you will be the recipient of a very comprehensive training program. 15 days to learn the entire range of skills required to be a professional river guide, or just steer your own craft on Class III-IV water. Along with being one of the oldest rafting companies still in operation in the State of Washington, there are many other things that make Orion Expeditions a unique Pacific Northwest entity. 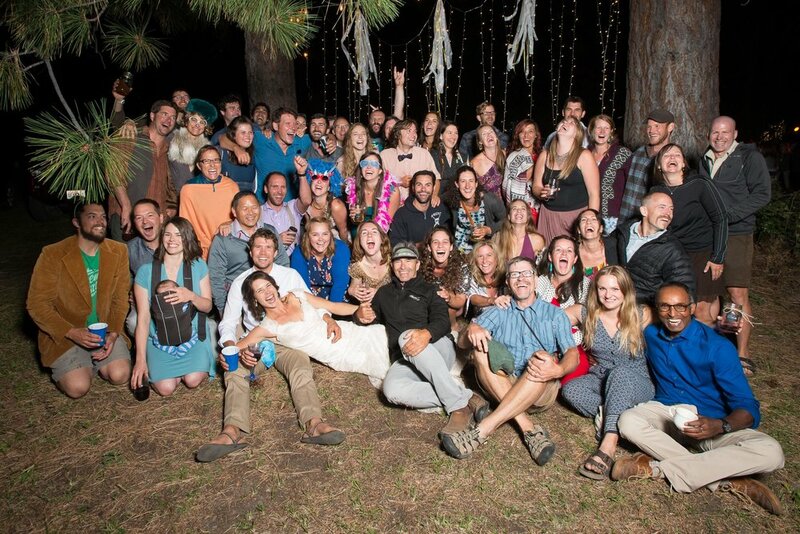 Orion Expeditions is a community bonded through the love of rivers. The company was founded in 1978 by people who were invested in bringing people together through outdoor recreation. Our guide training is one-of-a-kind, reinforcing the strong community of guides that make up Orion. We are a highly gender balanced company that believes both guys and gals make equally rad, and competent river guides. Our Trainers are seen as the “elders” of the Orion community; passing down experiential knowledge through the development of both hard and soft skills that are crucial for effective outdoor leadership. If you ask any Orion guide the question “What has Orion meant to you?” They will likely have a strong sense of community pride, rich with gratitude for the family to which we all belong whole heartedly. Orion's community of guides celebrating at a wedding between two of our senior staff. "Amazing group of people. I felt extremely safe with James and his team of guides. I took my twelve year old daughter with me and we had a great time. The Wenatchee river took about 3 hours to complete. It was a great first experience for both of us. Thank you James can't wait to do it again." "This was the second time I have rafted the Wenatchee with Orion. My teenage nephews had a great time! Their guides are terrific, and I really appreciate that they have all the gear you need. They also provide great materials to help you prepare in advance (like what to wear, etc.). Scheduling right around Memorial Day Weekend or early June is ideal, when the snow melt is still in progress and the river is running high. The water is really cold, but the weather is perfect and it makes for a great experience." "This was the best crew I've ever rafted with. They were all focused on safety and fun and not acting all cool and poised. If you are on the fence jump - this company is worth it." "I've been with numerous companies on numerous rivers throughout Washington and Oregon. I find myself going back to Orion again and again for a few simple reasons. The guides are pleasant and capable, the rivers they float are dynamic and accessible to most people, and they just like to have a lot of good safe fun." "I went rafting with Orion four times last season (3 on Wenatchee and 1 on the Tieton) and ALWAYS had a great time. The guides are extremely knowledgeable and friendly, and will adjust the trip depending on riders experience levels. I've gone with people aged 12-62 and everyone has had a wonderful time. Wetsuits, splash guards, life jackets, and aqua socks are provided. Highly recommended!!" "If you want a personalized experience for river rafting, with the security of going with an established company--use Orion. (Ignore the cheesy BBQ marketing from the "other" guys). This company has class. The guides are excellently trained." A day on the river makes for a fantastic group outing. From bachelorette parties to roller derby teams or, in this case, the women's soccer team "Lush".